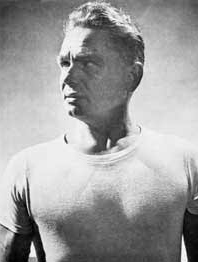 Joseph Pilates was born in 1883 in a small village near Dusseldorf, Germany. He developed an early interest in physical health and body conditioning. His father was a prize winning gymnast and his mother was a naturopath. In his early years, Pilates was a frail child who had asthma, rickets, and rheumatic fever. In order to cope with these ailments, Pilates became dedicated to understanding methods of sustaining health and fitness. He achieved some success as a boxer, a gymnast, a skier and diver. During World War I, he taught wrestling and self defense. Mr Pilates came in contact with injured soldiers from World War II. It was then that he devised spring mechanisms attached to beds to aid in rehabilitation and so began the development of what we refer to today as the cadillac. His system focused on the core postural muscles which help keep the body balanced and support the spine. Joseph Pilates and his wife, Clara, opened a gym following their arrival in New York in 1926 – on 8th Avenue, where many dance and rehearsal studios were located. Pilates began working with dancers, eventually including such luminaries as George Balanchine, Martha Graham, and Gerome Robbins. Clara continued to teach Pilates and run the studio after Joseph's death in 1967. One of their disciples, Romana Kryzanowska, later took over the studio and school, moved it first to 56th Street and then to 57th Street, where it remains today. Romana Kryzanowska (June 30, 1923 - August 30, 2013) first discovered the Pilates method when she was seventeen years old studying ballet with George Balanchine. It was Balanchine who introduced her to Joseph Pilates, whom she later came to refer to as "Uncle Joe." In 1968, after the death of Joseph Pilates, his wife Clara Pilates continued the studio, where Romana became a helper in the studio. After the death of Clara in 1977, Romana Kryzanowska became the director and took over the studio and went on to play a crucial role in preserving and teaching Pilates' life's work. For many years she taught alongside her her daughter, Sari Meji -Santo, and later her granddaughter Daria Pace at the Romana’s Pilates. 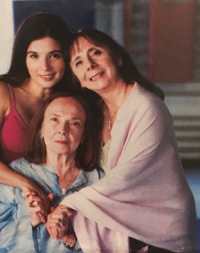 Photo at left: three generations – Romana (center), her daughter Sari Mejia-Santo (right), Level 1 teacher trainer at Roman's Pilates, and Daria Pace, Romana’s granddaughter (left), now the owner of Romana’s Pilates. Michelle Utin, owner of Authentic Pilates Stillwater, is a Level 4 teacher trainer of Romana's Pilates.